The Council Leader has responded today to questions following the Ministerial Working Group at Scottish Government on private high rise properties. 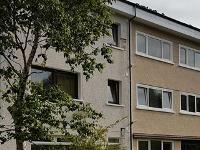 Work on the first phase of a £5.12million improvement programme for almost 200 homes in Priesthill that began in January and is part-funded by Glasgow City Council has now been completed. A portrait of former Lord Provost Sadie Docherty was unveiled today in the City Chambers. Glasgow City Council's Executive Commitee today (14 September) approved the sale of part of the former Blawarthill Hospital site to Yoker Housing Association. Glasgow City Council today (14 September) granted a 25 year lease to Ha'Penny House to the Friends of the River Kelvin (FoRK). Jim Kavanagh (Scottish Labour) has been elected to the Cardonald Ward. Councillor Susan Aitken, Leader of Glasgow City Council, has officially opened the latest 120-bedded care home to be completed as part of the council's £100m Tomorrow's Residential and Day Care Programme. An exciting sponsorship opportunity has been launched to help young people across the city access funds to help towards their Duke of Edinburgh Silver or Gold level award. Glasgow's Lord Provost was joined by more than 100 Merchant Navy cadets at a poignant ceremony in George Square to mark Merchant Navy Memorial Day today Friday 1 September. It will be a red carpet affair. And school children from Govan will be the stars at the UK film premiere on Friday 29 September 2017. Please see the updated information on the ACM Cladding situation and a video from Council Leader Susan Aitken. 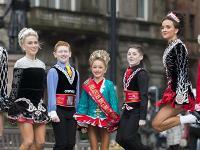 Glasgow will host the prestigious World Irish Dancing Championships for a record sixth time when the colourful event returns to the city in 2024.